This theme means giving a nod to tradition, but with Christmassy twist. Masquerades are a popular way to party for good reason(s); mystery, intrigue and fabulous dress. A fabulous way to do this would be to hire a venue full of character, such as a church. 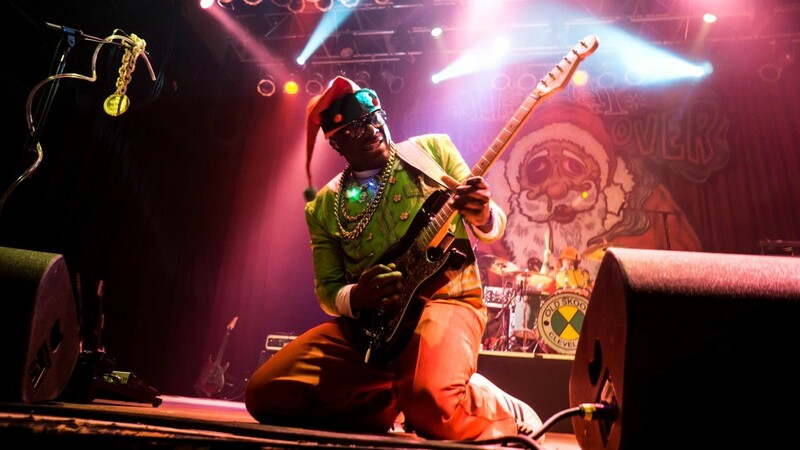 Hire a live band that will play a mixture of upbeat Christmas classics and funky party songs to get people into the festive groove, and serve up Christmassy cocktails with themed canapés. Dedicate one hour of the night to unmasking, and think about having a competition for the most eye-catching outfit. Santa’s workshop is fun for all ages. This is a great way to create some personalised Christmas gifts for friends and family, and the best item can be voted for and then put in a raffle, with the creator winning the proceeds. 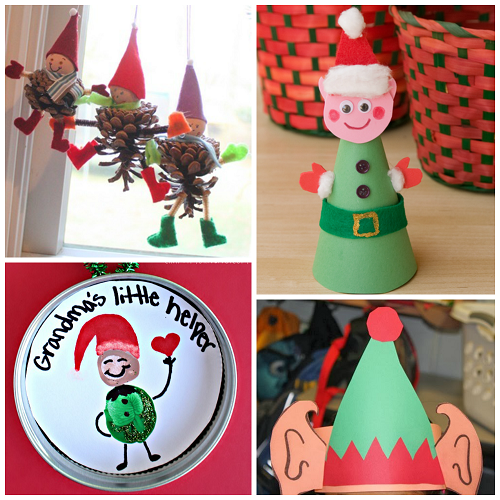 There are so many cool Christmas gift ideas and activities; kids adore dressing up and will no doubt relish the chance to become little elves. At Santa’s workshop they can paint wooden toys, make some Christmassy crafts and some ornaments like snow angels for the Christmas trees. Make sure you provide some simple instructions for making them! One stall could be the place where guests congregate to add their Christmas wishes to a letter for Santa. This is all about celebrating the snowier months, so start off by decorating your home or venue with as much white, silver and blue as possible. 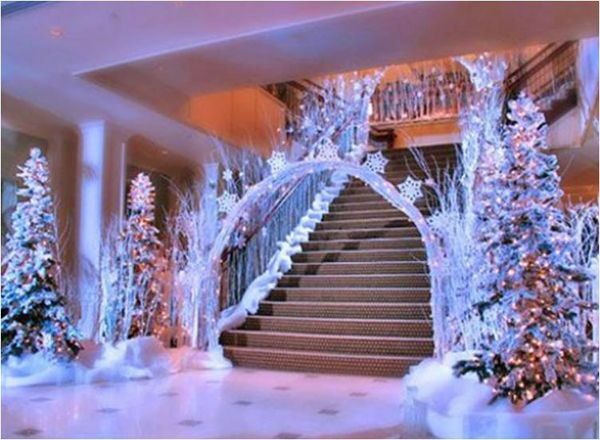 Sparkling white tinsel, snowflakes and fake snow are great for creating your homemade Narnia. Put up several Christmas trees and spray them with fake snow, glitter and fairy lights. Crystals can be strategically placed on trees and surfaces so that they reflect beautiful light prisms around the room. Why not put a giant snowman in the corner, and maybe some grazing reindeer? If you can set up an ice sculpture, this will really add to the wintery vibe. 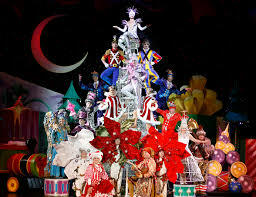 Guests could come as characters from Frozen or the Lion, the Witch and the Wardrobe; perhaps Christmas classics such as Santa and his elves or Scrooge could make an appearance. Vote for an ice king and queen among your guests, and crown them with homemade crowns of glitter and rhinestones. You might hold another competition to see who is the best Elsa, based on outfit and singing ability! As they say, we are all one – so why not hold a party that celebrates Christmas traditions from all the countries of the world? This makes for a very diverse and fun theme; there are typical foods and drinks like British mince pies and Irish Guinness that you can stock up on, but if you want to get really kooky, offer up deep fried caterpillars South African style, and have everyone throwing Slovakian Loksa pudding at the ceiling. You could insist that everyone wear skates like the Venezuelans, and have a banana-decorating workshop, Indian style. Make a playlist of world Christmas songs and print song sheets with the Merry Christmas song in different languages; get guests to sing the songs with prizes for the best performance. Skiing fans will love this one. Then again, so will those who couldn’t care less about skiing! Turn your home into a ski chalet, with a fireplace surrounded by stacked wood. December may be hot in December in Australia, so no need to set the fire burning. Leave some inviting sheepskin rugs on the floor and have a supply of delicious hot chocolate on the go. Even though it’s not, it is fun to pretend it’s cold and wintery outside, so you could put a printed winter scene up in one of the windows (looking out onto the slopes), or make your own window on one of the walls. Spray your actual windows with fake snow to give the impression that it’s been snowing on your chalet. Leave lots of skiing paraphernalia around. Get guests to bring any ski or ice skating equipment they have lying around, and place this all around your chalet. 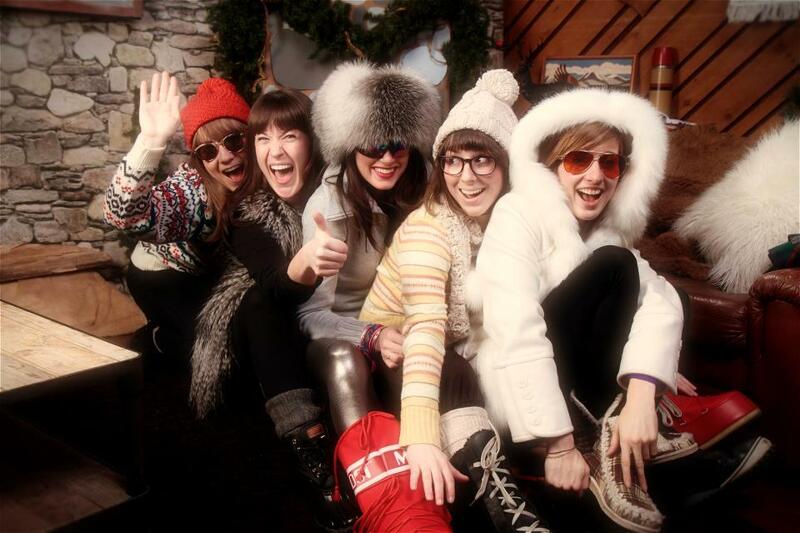 They can also turn up in ski glasses and hats with sunblock on their noses! Leave skiing magazines on your coffee tables, and if you have access to a stuffed animal’s head, mount that on the wall. Almost everyone loves to try their voice at Karaoke for a night, so turn your home into the local concert hall by hiring a jukebox and/or a karaoke machine. Make a stage out of pallets and hang classic showbiz velvet curtains above your makeshift stage. If the curtains are too much trouble, go with a tinsel curtain instead. 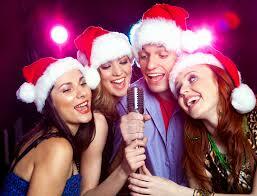 Songs will of course be classic Christmas tunes and you can set up prizes for the most talented Christmas warblers. Get a projector screen up to project the lyrics onto a wall, or have them on a computer screen visible to your guests. The dress code may be ‘showbiz’, with guests becoming glam superstars in glittering dresses or 50’s style suits. You can play some Karaoke-related games like ‘guess who sang it’, ‘name that tune’, and ‘Battle of the Bands’; you could also find out just how low your guests can go with a game of limbo. If you really want to go all out, turn your backyard into a Christmas circus. A marquee can be erected and you can hire performers for the night: fire eaters, clowns, jugglers, stilt-walkers, magicians, tumblers and perhaps acrobats or acro-yoga performers. Put on a real show for your guests with some scheduled acts like a fire eating show and a magic show. Food-wise, get some funfair foods on the go with a fairy floss machine, toffee apples, peanuts and a selection of fast foods. Your guests can dress as performers themselves, regardless of ability. Set up an area where they can practice performing their chosen art form for the night, with the help of some of your real performers. We all have something that we’ve held on to way too long; perhaps it has sentimental value or it’s just been hoarded away for a ‘rainy day’ that never came. A great way to recycle and make someone else happy with our unwanted items is to turn them into white elephant Christmas gifts. All guests are instructed to bring wrapped gifts, which they’ll exchange with each other at random. To make things more interesting, suggest a theme for the gifts; for example, they should be winter or snow related, or blue, or recycled. It is fun to wrap up a few joke gifts too. Seeing as though you’re all going to be gift-givers, you could have everyone dress as Santa, with their own creative twist. Guests that bring the funniest – or most imaginative – gifts should win an award, or a prize of some kind; something with higher value than a white elephant gift! Another nice idea is to donate a few gifts to charitable causes, in recognition of those who aren’t fortunate enough to be able to celebrate Christmas. If you want to get your guests excited, give them the gift of a candy-themed party, Willy Wonka style. 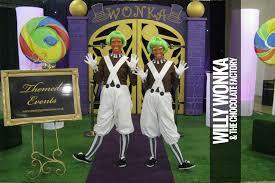 Invites should be written or printed up on golden tickets, and guests should come dressed as characters from the movie such as Oompa Loompas, Veruca Salt, Augustus Gloop or Charlie Bucket. Let your guests munch away at a Candy Bar, where they’ll find a chocolate fountain that they can dip marsh mellows and fruit into. Set the scene with candy cane decorations on your Christmas tree, and place giant cardboard sweets, balloons and any other colourful items you can think of around the house. A ball pit will keep kids entertained, and some colourful beanbags can make for a lot of fun. You might want to run a cake-making or chocolate-making workshop, and a movie screening on a big TV at some point. Your guests will probably be feeling pretty sick by the end of the night; nevertheless, they should have a goody bag – or at least a lollypop – to take home with them. Brace yourself… excessive sugar and excitable children can be an interesting mix! Have you heard of elfing yourself? The website/app dedicated to the process of ‘elfing yourself’ is a hoot all on it’s own, but when you take the idea and turn it into a party, you and your guests will be rolling with laughter. You can elf yourselves by uploading your faces to the app in groups or as solo elves, and watching them execute some pretty funky dance moves. Get your guests to take daft photos of themselves to upload, and then take it in turns to elf yourselves online. 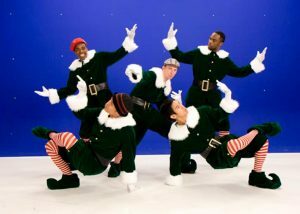 Once that fun is done, you can hold a competition to re-enact the dance moves your elf-selves did. Winners are those that best matched their avatar. Stock up on face paints and ‘elf each other up’ on the night, then hold an elfish photo shoot with a Polaroid camera. You can turn your home into Santa’s Grotto for authenticity, and dress code will be… you guessed it: elves.